We all make mistakes in life, and usually you just learn from it and move on. When it comes to chicken keeping mistakes though, some of them can be deadly. There are a lot of small chicken keeping mistakes like running out of feed and having to cook them something, or buying a waterer that's too small and having to fill it constantly. I'm talking about the big mistakes though...the ones chickens don't live through. I've made several of these mistakes over the many years that I've owned chickens. I've had predators I underestimated, health problems I missed, a coop that wasn't as secure as I thought and a kid that thought making sure all the chickens were in the coop at night was optional. *sigh* There is definitely a learning curve to keeping chickens! 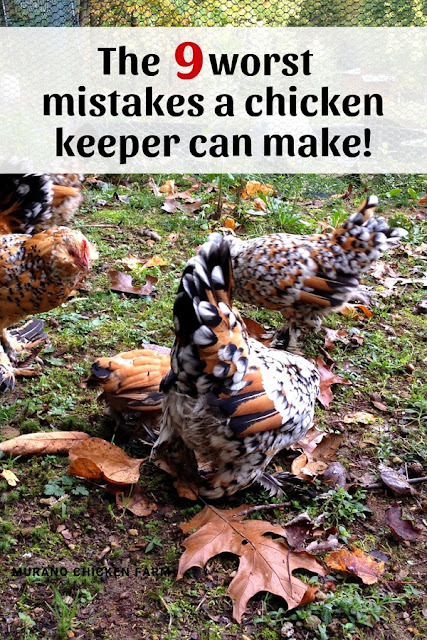 A lot of these chicken keeping mistakes are simple to prevent so hopefully exposing my mistakes will prevent your flock from having the same issues! A sturdy predator proof coop is absolutely essential for backyard chicken flocks. When predator proofing a coop you have to look up, down and right in front of you. Can a predator come down from above to get into the run? Are the ventilation holes big enough for anything to fit in? Are there spaces anywhere that a predator can fit through? Are there gaps below or above the door? Are the door latches easy enough for an animal to work? Can a predator dig underneath to get into the coop or run? Can the run wire be pried loose easily? Many urban chicken keepers don't worry about predator proofing much because they never see predators in their neighborhoods or they think the types of wild animals in the suburbs aren't truly predators. It's important to note that raccoons can open door latches, snakes will kill chickens even though they're too big for them to eat, squirrels will eat eggs and even chicks if they get hungry enough and stray dogs will chase chickens down tossing them about like toys until the chicken dies or escapes. Many predators are active around dusk. The waning light gives them a bit of protection from sight while there's still enough light to see what they're doing. It's an especially vulnerable time for the chickens to be outside. Many predators can see just fine at night and chickens have notoriously poor eyesight in the dark. This definitely tips the scale in favor of the nocturnal predator! By getting the chickens into the coop and shutting the door before dusk, you can prevent sneak attacks from waiting predators. I have a kid that was notorious for this! Sometimes chickens don't go into their coop at bedtime. If they are left outside overnight they have 8+ hours of time with any predator that may be in the area. Sometimes a chicken may be in a safe spot and be ok through the night, other times they got distracted and just decided to roost on the first close spot when night fell. Or the kid may have shut the door before the last chicken wandered in for the night and now she's stuck outside sitting on the ground outside the coop all night. The safest place for the chickens to be overnight is in their coop, so a nightly count is essential. We are now in the habit of doing a count each night and if all the chickens aren't in the coop, we grab a flashlight and go hunting for them. I wrote Chickens Can't Swim, Backyard Water Safety about chickens getting themselves into small ponds, buckets of water, kiddie pools and other wet situations. Once thoroughly wet a chickens feathers become heavy and they cannot keep themselves afloat. In the case of tall buckets they may lean in to drink and fall in upside down without enough space to right themselves. It's best to keep chickens away from all deep containers of water to prevent drowning. Hardware disease sounds like something that is made up but it's a very real affliction for farm animals. 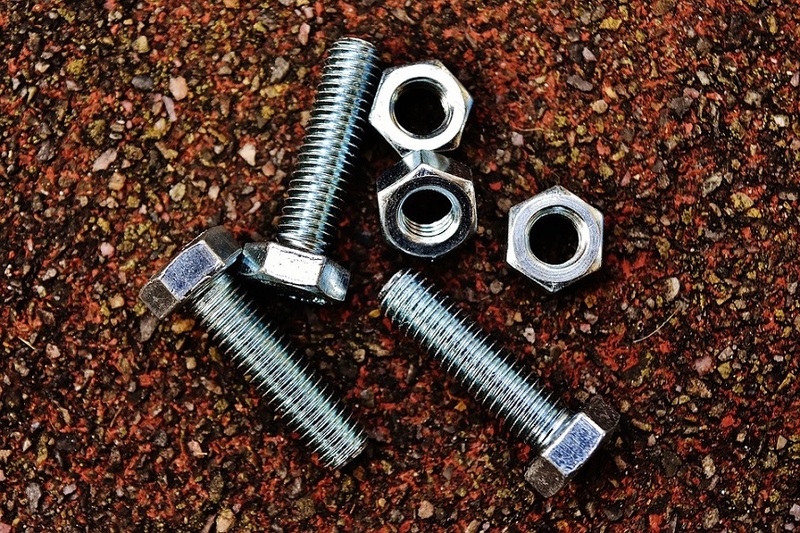 Chickens will eat almost anything including metal pieces like small screws, metal washers, staples, small pieces of wire, metal shavings...ya know, pretty much anything they may possibly find. The first problem is that when these sharp objects make their way through the chicken they can puncture the crop, stomach, intestines etc. The second problem is that they start to rust and breakdown which leeches dangerous metals into the chicken poisoning them. It's not a true chicken 'disease' but it is an affliction that can kill them. Related reading: How to prevent Hardware Disease. If you must use rodent, insect and weed prevention methods it's best to use non chemical methods near chickens. Mice can die from the poison and then be eaten by the chickens. Chemical bait that the insect takes back to the nest can be dropped or spilled by the critter then be eaten by your chickens. Plants treated with an herbicide can also be eaten by chickens. Try to use non chemical methods whenever possible to keep your chickens safe. When dealing with a mouse problem I put down snap traps nightly and pick them up in the morning before letting the chickens out. I also like this Magic Mouse Box trap from my Stoney Acres. I've had good results with dusting diatomaceous earth on ant hills. There are lots of non chemical ways to remove weeds like vinegar, salts, boiling water and just plain pulling them. If you must spray your lawn, keep the chickens confined for several days to allow the chemicals to dissipate before allowing them out. Trying to just toss chickens of various ages and sizes together is a recipe for disaster! When introducing chickens to each other you need to integrate them slowly to keep squabbles to a minimum. Size and temperment should also be considered. Standard size chickens can be housed with bantam size chickens safely, but a standard sized rooster can hurt a bantam hen if he attempts to mate her. Keep this in mind when choosing your flock. Also be very careful of keeping ducks and chickens together. Male ducks (drakes) may attempt to mate a chicken hen and it will eventually kill her. NEVER trust a heat lamp! If a heat lamp breaks loose from it's clamp and falls to the floor of the coop it can set fire to the bedding burning down the entire coop in minutes. 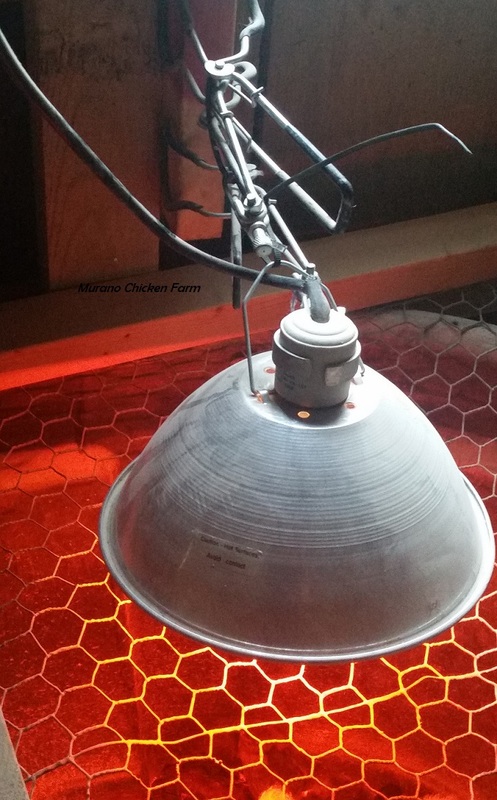 For this reason you should never use a heat lamp to heat a chicken coop! Heating a chicken coop in winter is completely unnecessary and can be dangerous. For a chick brooder I zip tie my heat lamp to its clamp, as those little screw things that hold the clamp onto the light can come loose. I then zip tie the clamp to the wall also. I also place a screen underneath in on top of the brooder in case in somehow falls, it will not land on the shavings. The husband made the screen...it's just boards nailed into a frame the size of the brooder with chicken wire stapled to it. It does the job! Or try one of these safer brooder heat options. A severe parasite infestation in chickens can cause anemia, weight loss, poor growth, abnormal droppings, poopy feathers which could lead to flystrike, decreased egg production and even death. Obviously parasite problems don't start off as severe so the idea is to catch and treat infestations when they're still small and manageable. Check your chickens often for external parasites like lice and mites which can be acquired from wild birds in the area. Look at their skin between the feathers on their belly, back and under the wings for live bugs. Check around the vent feathers for lice eggs. Add DE and wood ash to the chickens dust bathing area as a preventative. Worms are a bit trickier to diagnose and treat, but there is a lot of information in: Deworming Chickens. Do You Need To Worry About It? Hopefully you won't make these mistakes. The few I have made has been absolutely heartbreaking and I'm hoping that by writing this I will save you from making my mistakes. I really appreciate your post. To often I see these new urban areas owners setup like a dog pen. The worst thing my family hates is when I go to the local feed store to by feed. I end up there for 6 to 8 hours helping new chicken owners. Just about a month ago. A lady comes in with two young boys 5and 7 buys chicks and scratch feed. I lost it. Oh no! I'm glad you were there to educate them! It really is ridiculous that some kind of how to care for chicks pamphlet isn't handed out with new chicks! Useful article, not a total novice to keeping chickens but timely reminders help avoid complacency, thanks. I'm glad that you liked it. Thanks for stopping by Trev! I have done all these things in my early days of raising chickens. Except catch anything on fire thank goodness!! Lost my favorite hen because I forgot to close the coop. Lost my second favorite hen because I let the chickens out when I wasn't home (won't be doing that again.) I learned from the hawk though and when my husband said he was stalking around the yard again, I put on my mother hen hat and chased everyone back in the coop! Luckily I haven't caught anything on fire either...but I think in my early days of raising chickens, that was just luck! Good call on chasing them back into the coop. Sometimes that's safer even though they want to be out! I worked at Tractor Supply for several years, back when the only offered chicks for sale once per year. I would spend my whole day educating new chick owners on how to take care of them. It seems in the impulse and instant gratification world we live in no one does research prior to taking on the welfare of an animal. You need to be prepared to take home 6 little baby chicks. The ones that really drove me nuts just wanted to use them as props for Easter pictures and then their plan was to let them go because "chickens and ducks live in the wild all the time" and my response was "without a mother", then they would usually not buy them but sometimes I could not talk them out of it! That's really sad that people treat getting an animal so lightly! Awesome of you to take the time and educate them though! The people who work at our TSC are somewhat knowledgeable about chicks. They should really consider adding people like you during chick sale season!